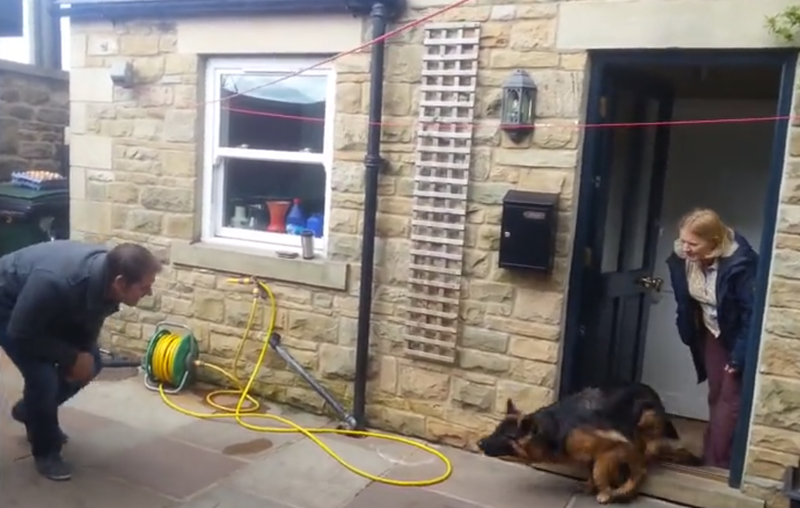 German Shepherd Sprints To Dad After Months Apart & Is Unable To Control Her Joy. 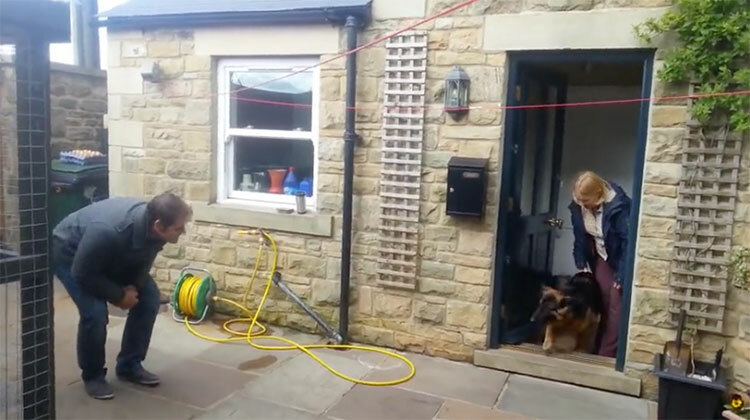 One family recorded the moment when a man was reunited with his beloved German shepherd, Freya, after months of being apart. The dog had been staying with relatives while he went away for work, and the pair had not seen each other for several months. Time apart did nothing to lessen their bond, however, as you can see (and hear!) by Freya’s ecstatic reaction. As soon as Freya hears her owner’s voice, she launches herself out the door and into Dad’s waiting arms. The most remarkable aspect of her greeting is the whimpering sound she makes. 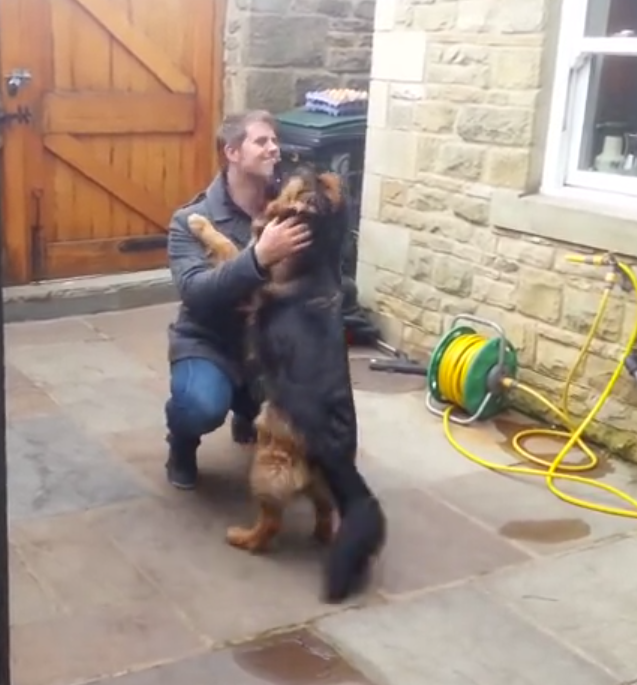 She’s so happy to see her human that she’s actually crying! As Freya wriggles and licks his face, it’s clear that she completely adores him and is beside herself with glee that he has returned home to her. 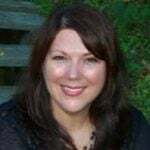 What a sweetheart she is! Her owner looks beyond thrilled to see his loyal dog, too. 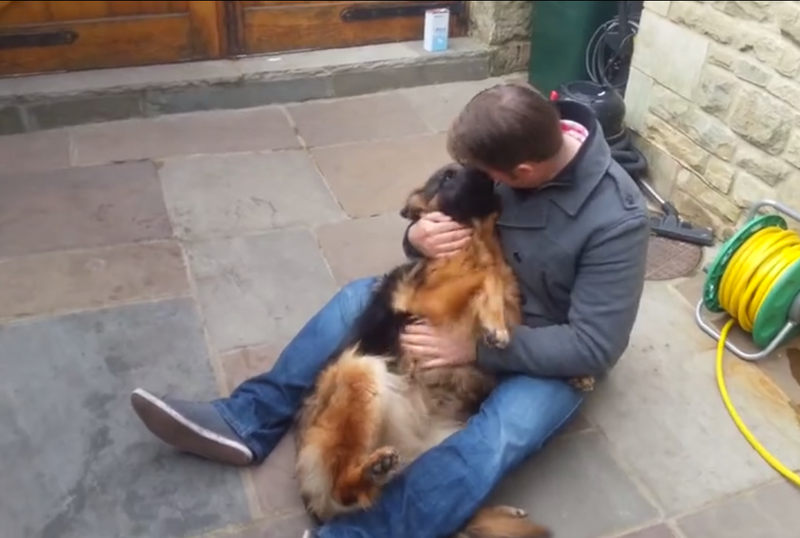 This video is a true testimony to the level of unconditional love shared by dogs and their owners. Good girl, Freya! Watch their joyful reunion below, and be sure to share this video with an animal lover in your life.